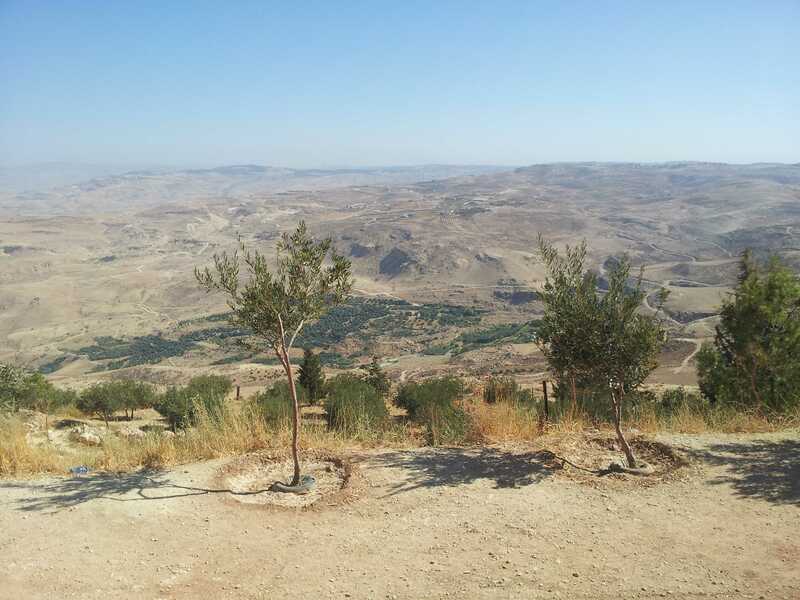 Judaean desert (credit: Diane Watt, 2016). 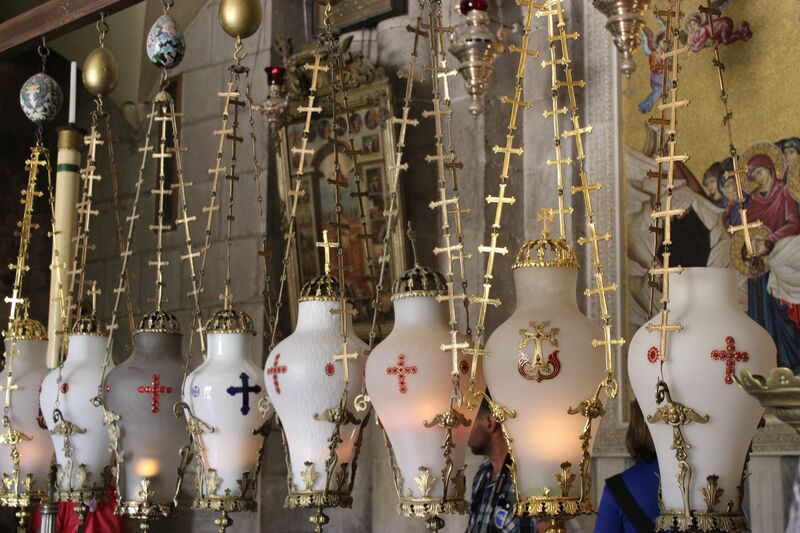 This summer, I revisited Jerusalem, a city familiar to me long before I first set foot in it. Jerusalem is regarded as a holy place by Jews, Christians and Muslims, and many people encounter it for the first time through reading sacred texts. As a medievalist who has spent much of my academic career studying English women’s visionary writings, my first trip to Jerusalem was filtered through my reading of the fifteenth-century Book of Margery Kempe, which includes an account of Kempe’s three week stay in the Holy Land and describes in some detail her spiritual experiences and the revelations she received as she visited the various sights, including the Church of the Holy Sepulchre, Mount Zion, and the Church of the Tomb of the Virgin (which she tells us, she visited twice). According to her Book, Kempe travelled from Jerusalem on to Bethany, Bethlehem, and the Mount of Temptation or Mount Quarantania in the Judaean desert. Yet despite providing us with the itinerary of her pilgrimage, the Book pays little attention to the places themselves, focusing our attention instead on the Biblical landscape, on Kempe’s mental re-enactment of Gospel scenes, and on her affective responses to them. 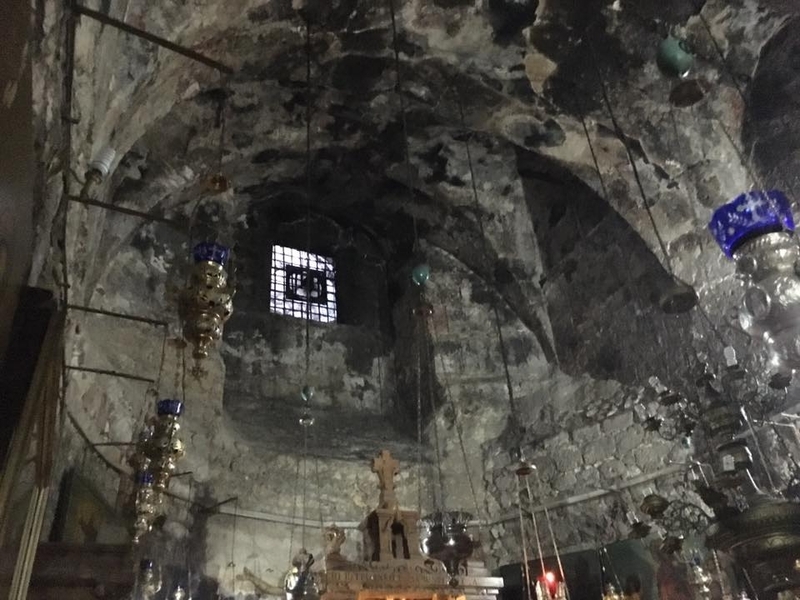 (I discuss Kempe’s pilgrimage to the Holy Land in more detail in my article ‘Faith in the Landscape’ in A Place to Believe In, edited by Clare A. Lees and Gillian R. Overing). Kempe’s is certainly not the only account of medieval Jerusalem, or even the earliest. A millennium earlier, in the late fourth-century, a woman called Egeria wrote a long (but now incomplete) epistle to a circle of Christian women describing her extended pilgrimage in the Holy Land, which included a three year stay in Jerusalem, and also excursions to other sites such as Mount Nebo. In fact I read the Itinerarium Egeriae (Travels of Egeria) when I was travelling in Jordan last summer. After describing her travels, Egeria provides an extremely detailed and valuable eye-witness account of the liturgical practices that were evolving in Jerusalem at that time. On this, my second visit to Jerusalem itself, it was a narrative written some four hundred years after Egeria’s that provided the literary backdrop to my own travels. In the late eighth century, an English nun called Hugeburc (or Huneberc), from the double monastery of Heidenheim in Germany, wrote the Hodoeporicon (voyage narrative) of her kinsman St Willibald, a work that describes the saint’s life and his pilgrimage to the Holy Land in the 730s. Hugeburc’s narrative is closely based on the saint’s own oral account related to the community at Heidenheim after his return. Hugeburc then, unlike Margery Kempe or Egeria, did not visit Jerusalem herself, but this did not prevent her from writing about it. Hugeburc is, in a sense, an early armchair traveller. (It is worth noting that other religious women connected to the German mission did go on pilgrimage at this time. For example, at around the same time as Willibald was making his way to the Holy Land, St Boniface wrote to a nun called Bugga, weighing up the merits of making the journey to Rome. I discuss this letter and others relating to women and pilgrimage in my recent article A Fragmentary Archive: Migratory Feelings in Early Anglo-Saxon Women’s Letters). Written from the confines of her own religious house, Hugeburc’s book traces the spiritual journey of Willibald. Hugeburc emphasises the truth-value of her narrative, which she insists is not a far-fetched traveller’s tale, but rather evidence of the sanctity of her relative. Yet what is so striking about the Hodoeporicon is that, despite this claim, it is less concerned with the recording miracles and other evidence of Willibald’s remarkable piety, than with describing the details of his wanderings, including information about the practicalities of his voyages, the difficulties he encountered, and the sights that he saw. 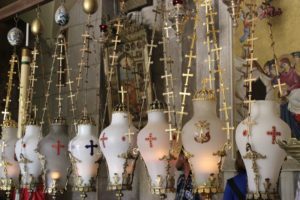 At times Hugeburc’s narrative reads like a guide-book, especially in its depiction of the sites in Jerusalem, with its focus on the architecture and furnishings of the churches, such as the fifteen lamps on the rock where Christ’s body was placed. Hugeburc may never have visited the Holy Land herself, but she succeeds in imaginatively mapping a journey she was unable to undertake in person. Revisiting Jerusalem, then, has taken me back in time, from the early fifteenth century to the eighth century, and beyond. This journey reflects the trajectory of my own research. In 2007, I published Medieval Women’s Writing: Works by and for Women in England, 1100-1500 (Polity), which includes analysis of the writings of Julian of Norwich and Margey Kempe alongside other less widely read works. I am now working on my fourth monograph, on women’s literary culture between 650 and 1150, to be published in Bloomsbury’s Studies in Early Medieval History (series editor, Ian Wood). Intellectually, I have travelled from the later Middle Ages to the early medieval period, but my focus on women’s literary culture remains. There are, of course, considerable differences across this long time span. For a start there are far fewer known and named women writers in the centuries before the Conquest. But as I have been researching this book, I have been struck nevertheless by the continuities; continuities that have typically been hidden by traditional scholarly period boundaries. As these examples of women’s pilgrimage literature reveal, the devotional writing that so characterises the late medieval women’s literary tradition in England undoubtedly has its roots in the early Middle Ages and late Antiquity.